Heather was appointed QCDFVR Director in March 2018, after working at the Centre as a Senior Researcher for a number of years. She originally joined QCDFVR in 2014 before a short departure to complete her PhD ‘Unravelling foster care and finding family support’. On her return to QCDFVR in 2015 Heather led a qualitative study with victim/survivors of domestic violence who had experienced cross-border domestic violence protection orders. The study was funded by the Queensland Government as part of the national research agenda and commissioned by Australia’s National Research Organisation for Women’s Safety (ANROWS). 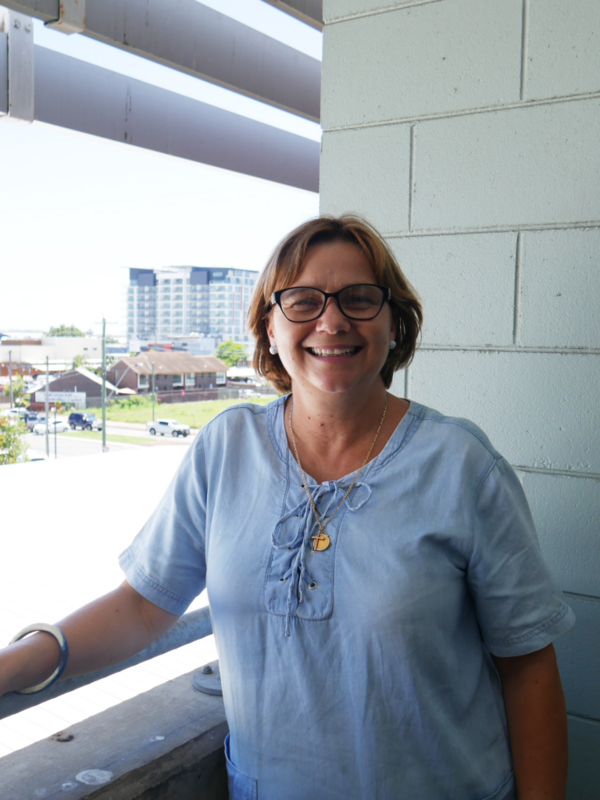 Since then Heather has been instrumental in undertaking applied research projects with the Queensland community sector, and her work has largely been associated with the responses to the ‘Not Now, Not Ever’ recommendations. Heather’s undergraduate degree is in Community Work and she has a history of working with community services in the government and non-government sectors in Queensland. She has held a diverse range of positions across the areas of practice, program, policy and research, with a primary focus on service responses particularly as they relate to child protection, foster care, family support and violence against women. Annabel’s appointment to this flagship position in 2018 followed her tenure as Director, QCDFVR. Annabel joined QCDFVR in late 2014, having been an evaluation research consultant in domestic violence services, child abuse prevention services and alternative justice initiatives in New Zealand. Prior to her arrival at QCDFVR Annabel was based at the University of Canterbury and between 2009 and 2014 held the position of Director of the Te Awatea Violence Research Centre where she designed and led a number of research projects commissioned by the community and government sectors. During this time, Annabel was a Ministerial appointee to the Canterbury Benefit Review Committee and helped to establish and support community agencies providing services in child abuse prevention and support for women on release from prison. In 2013 she was a Galpin Fellowship recipient and undertook research based in Connecticut in the US on alternative justice and domestic and family violence. Annabel has published widely and in 2013 co-edited a book “Understanding Violence: Context and Practice in the Human Services” which has become a key resource for practitioners in the field and students in a variety of university-based learning. Whilst QCDFVR Director (2014-2018) Annabel completed national reports on judicial education and domestic violence, and the enforcement of protection orders in Australia. 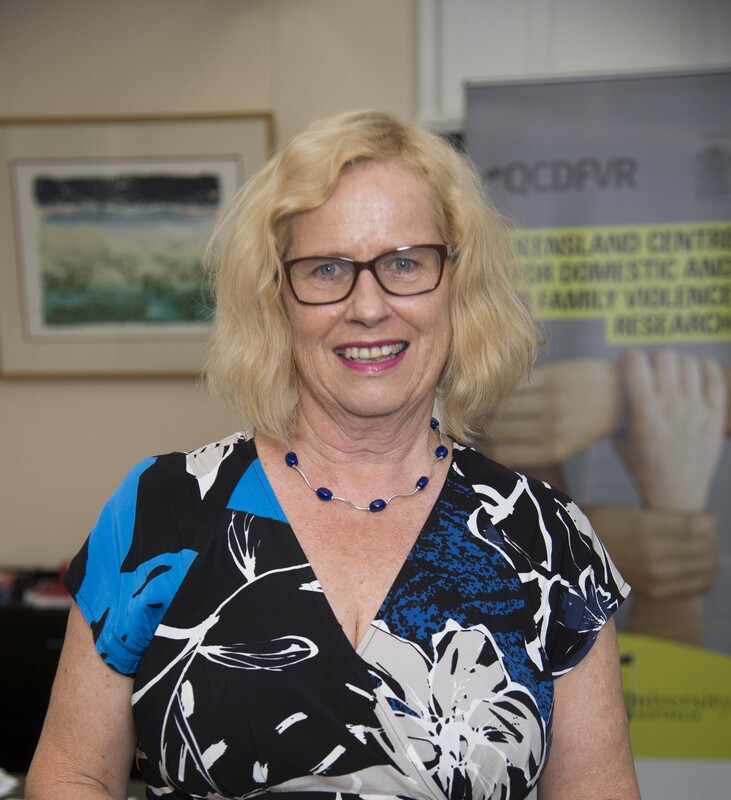 She has been a pioneer in introducing extensive domestic and family violence education and training options at both Higher Education and VET levels through QCDFVR’s relationship with CQUniversity. 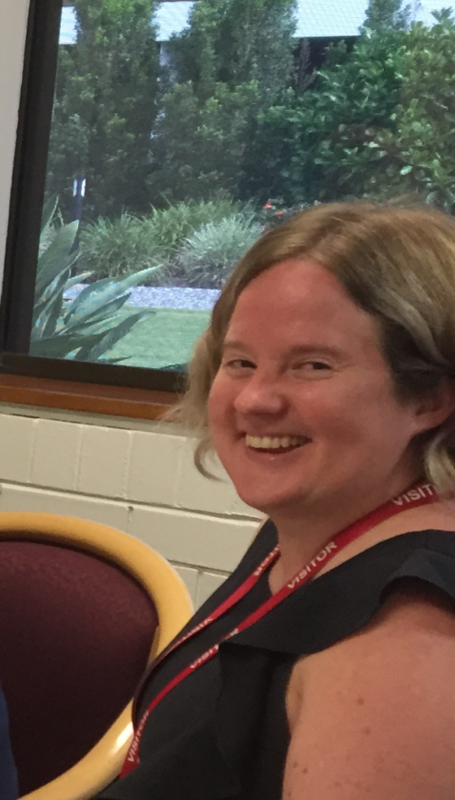 Liane McDermott has a PhD in population health and re-joined QCDFVR in June (2016)- some Re@der readers will recall Liane’s name from her 2009 work with the Centre. Liane has worked for a number of years as a researcher in population health, with a focus on health behaviour change in communities at a local level. As well, throughout her research career, Liane has taught health behaviour and health promotion courses at undergraduate and postgraduate levels, and co-supervised Masters and PhD students. With a professional background in community development, Liane has a broad range of experience in community engagement and consultation, and in the development and evaluation of services and resources that best meet community and service provider needs. Liane’s research role in the Centre will include evaluating the training provided by the Queensland Police Service to its staff in relation to domestic and family violence. 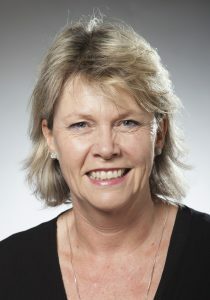 Dr Sue Carswell joined QCDFVR as a Senior Research Officer in 2018. 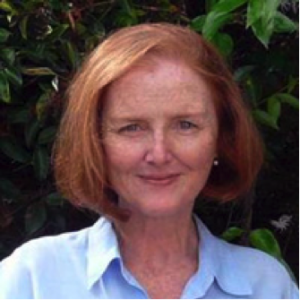 Sue has over 20 years research and evaluation experience working for government agencies, community organisations, and universities nationally and internationally. Sue’s main areas of focus are examining how good outcomes can be achieved for vulnerable families, particularly for those with multiple complex issues such as domestic and family violence, child abuse and neglect, poverty, mental health and addictions. She has an in-depth understanding of the dynamics of different forms of domestic and family violence and the processes and interventions used to prevent further harm. She is a specialist in research and evaluation of service development and delivery to provide information on implementation, effectiveness, and to inform good practice. Sue has considerable experience in designing and managing research and evaluation projects to ensure they meet the project objectives, are ethically and culturally appropriate, and are delivered on time. She believes that developing collaborative relationships with funders, participating organisations and stakeholders is critical to the success of implementing any project. Sue has authored or co-authored over 70 reports including peer reviewed journal articles, government and community research and evaluation reports, and literature reviews. 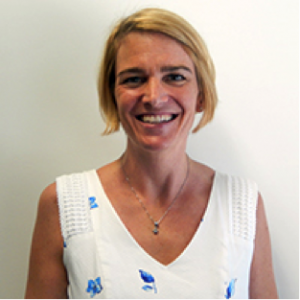 Silke has a PhD and Masters in Criminology and an undergraduate degree (Honours) in Social Work. She moved to Brisbane from Bremen, Germany in 2006 to examine the help-seeking decisions of female victims of intimate partner violence for her PhD research at Griffith University. After completion of her PhD, she worked in the Policing and Security Research Program at the Institute for Social Science Research (UQ) before being awarded a UQ Postdoctoral Fellowship. Silke’s postdoctoral research examined regional and cultural differences in women and children’s experiences of domestic and family violence and related housing instabilities, and she has further conducted research on men’s compliance with Domestic Violence Orders and the role of fatherhood identity in perpetrator interventions. Silke has also been a chief investigator on a number of program evaluations, including the evaluation of an integrated response to domestic and family violence for the Queensland Police Service and Department of Communities, the evaluation of a police-led multi-agency response to young people at risk for the Queensland Police Service and a national evaluation of the Respectful Relationships program for the Department of Social Services. Throughout her research appointments, Silke has taught into the curriculum of the School of Social Science at UQ and the School of Criminology and Criminal Justice at Griffith University. Prior to her career in research and teaching, she worked as a social worker with victims of domestic and family violence, vulnerable families and young people at risk. Silke is passionate about victims’ and children’s wellbeing and advocacy for holistic community responses to domestic and family violence. Andrew has been working, teaching, and researching in offender rehabilitation since 1993. At CQU he is closely involved with QCDFVR, and has responsibility for leading our team in offering a range of post-graduate practice qualifications in this sector. His specialism here is men’s behaviour change work where he has taken the lead in designing, developing and conducting the Graduate Certificate. 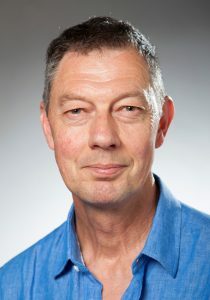 Andrew was Director of Te Awatea Violence Research Centre at the University of Canterbury where he also taught in social work and human services. At Kia Marama, a prison-based rehabilitation programme for sexual offenders, over a period of 12 years, he was involved in the provision and supervision of therapeutic groupwork, as well as the establishment of a forensic therapeutic community. His award-winning research has influenced practice in the field of offender programs. In addition to domestic and family violence, these areas remain central to his research interests. Along with his teaching, writing and research, Andrew remains involved in supervision, training, credentialing, and consultation. Dr Guggisberg joined CQU in February 2017. Prior to this appointment, she was based at Curtin University in Perth where she completed her Post-Doctoral Fellowship and stayed on for seven years, continuing her research and teaching into the postgraduate health sciences program. She has an undergraduate degree (Honours) in Psychology and a Masters in Criminology. Dr Guggisberg received her PhD from The University of Western Australia for her investigation of the interrelationship between intimate partner violence victimisation, mental health impacts and health risk behaviours as a way of coping. She is known for her research on sensitive topics such as sexual victimisation of women and children in the context of family violence. Her work has included co-editing and co-writing several books and numerous peer-reviewed articles and reports as well as being an examiner of research dissertations and a reviewer of manuscripts for numerous academic journals. She is interested in emerging forms of intimate partner violence such as the role of technology-facilitated abuse. Her longstanding interest is in research that can be translated into action in an attempt to break the intergenerational cycle of family violence. 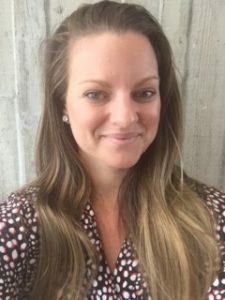 Nicola Cheyne joined the Centre in May 2016 and has assisted in a number of research projects, including evaluations of police training on domestic violence and integrated responses to sexual violence. Nicola has undergraduate degrees in behavioural sciences and criminology and criminal justice, with Honours and a PhD in criminology and criminal justice. Her doctoral research was on stalking victimisation while her Honours research project was a gendered analysis of the use of the provocation defence. She has recently moved into a lecturing position and is looking forward to teaching as well as continuing to work on research projects with the team within the Centre. Colleen Gunning joined the QCDFVR in December 2013 as part of a career in the education and health sectors. Colleen has worked in primary, secondary and tertiary education settings, and on a range of public health issues, including mental health promotion, alcohol and other drugs and injury prevention. She has post-graduate qualifications in Education and Health Science (Public Health). Colleen’s role as Education Officer requires her to co-ordinate the annual Indigenous Family Violence Prevention Forum and the Centre’s other professional development opportunities. Colleen works with the team to develop the Quarterly Reader and other resources. Judy Pidcock has been teaching in the Vocational Educational Training space for over twenty years. As well as teaching, Judy has worked extensively in the Community Services area, where she has been involved in the areas of sexual assault, domestic violence and youth work. With her passion for training in the Community Services area, she regularly works in the industry to keep up-to-date with the current trends. In particular, Judy enjoys working with students to develop a professional framework which assists them in linking theory with best practice. Judy has lived in both urban and rural areas and understands the needs of diverse communities. As the lead QCDFVR Vocational Educator, she has been instrumental in the delivery of accredited and non-accredited training around the state. She is also a member of the Rockhampton Women’s Shelter Committee, where she has been the Chair since October 2016. Mark’s work in behavioral change spans 30 years in which he has delivered front line interventions in the form of client counselling, behavioral change programs, professional development and training. Mark is one of the principle trainers in the Common Risk and Safety Framework as part of establishment of the High-Risk Teams in the Queensland trial sites. 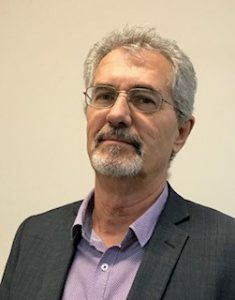 Mark serves as a board member on the Queensland Death Review and Advisory Board that works with the coroner to make recommendations to Government on improving service provision for those who have died as a result of domestic and family violence. We welcome Patrice Zarzecki who has come on board with CQU as a Contract Resource Officer for the School of Nursing and Midwifery. Patrice will be procuring and managing contracts between QCDFVR and various stakeholders in the areas of education, research and sector development. 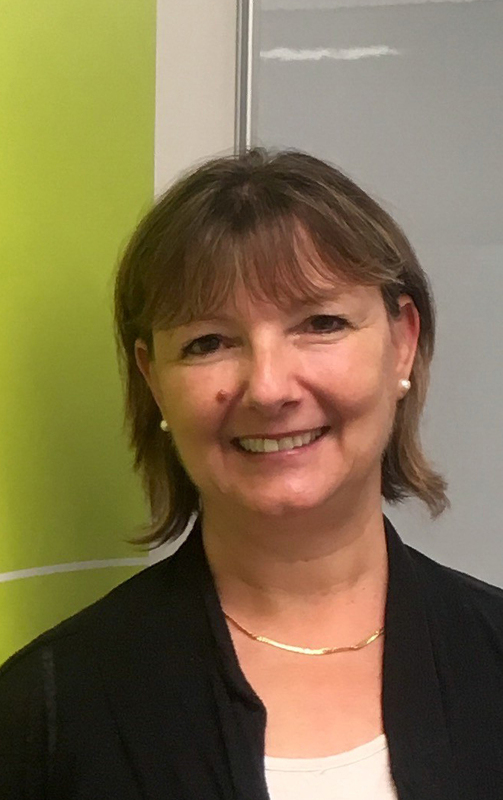 Patrice has come most recently from Queensland State Government where she worked in the area of Procurement and Contract Management, procuring and managing services provided by state government funded organisations. 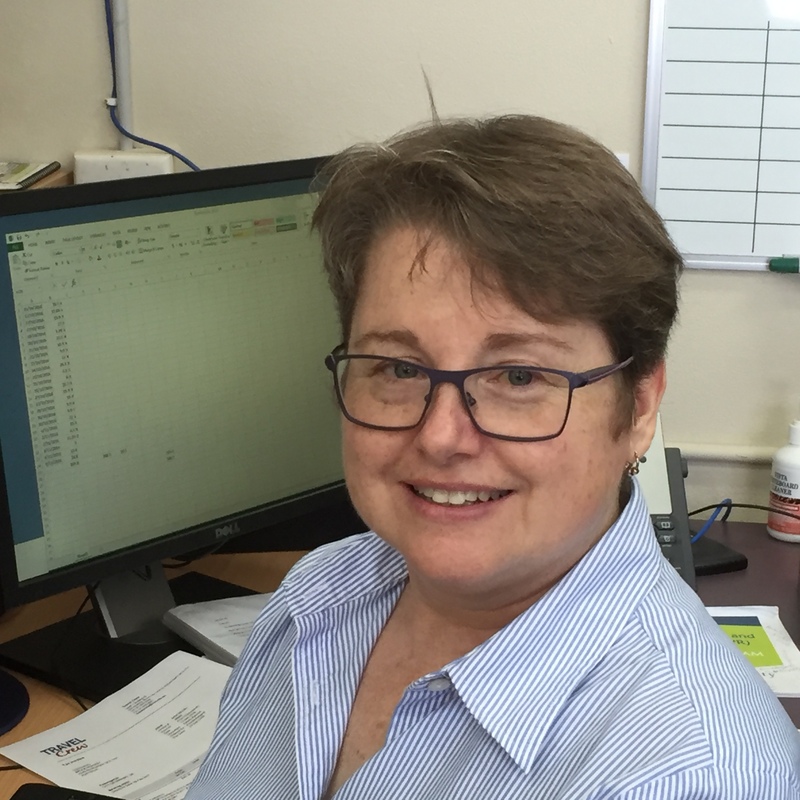 Patrice has previously worked for the State Government developing and implementing costing tools used in the procurement of services with non-government organisations having facilitated training on these tools throughout Queensland. Patrice is a Mackay local and has returned after a number of years in South East Queensland where she attained her degree in International Business with an International Business Economics major through Griffith University. Patrice was also a member of the National College of Business on the Gold Coast for a number of years, running her own small business whilst mentoring other Gold Coast small business owners on continual improvement practices. Patrice also has a passion for health and wellbeing for women and is a Certified Integrative Health Coach, having studied at the Institute of Integrative Nutrition based in New York. Patrice coaches women on the importance of self care and building healthy relationships with oneself, food, friends and family, physical activity and spirituality by providing the appropriate tools, education and ongoing support to build a healthy lifestyle from the ground up and maintain healthy lifestyle changes in the long run. 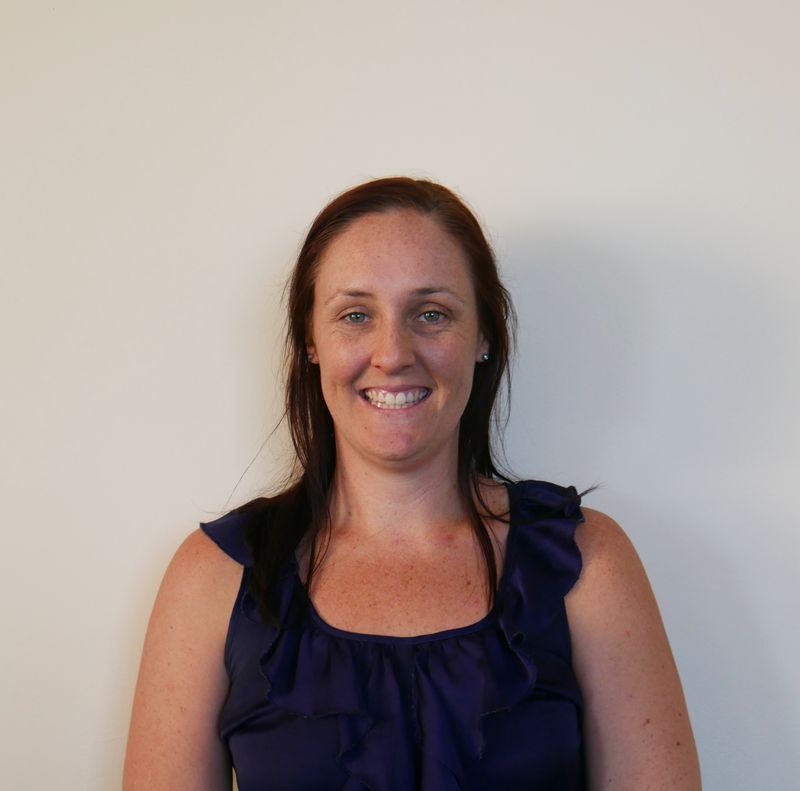 Rhiannon re-joined QCDFVR in 2017 after working in various other roles at CQUniversity for several years. Since her return, Rhiannon has undertaken community consultation with domestic and family violence response agencies in the Mackay region. Rhiannon is currently working on a project to roll-out DFV training, with a specific focus on Intimate Partner Violence, to General Practitioners in the Brisbane South region. 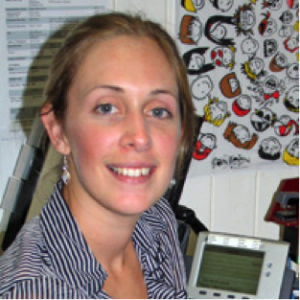 Lauren started with the Centre in December 2011 as Administration Officer, after relocating to Mackay from Brisbane. Graduating from Griffith University with a Bachelors degree in Leisure Management, Lauren has an interest and passion for people and the community and thus focused her studies on Community Development. Lauren has worked for a Non- Government Organisation within the North Burnett where she worked alongside crisis intervention services such as Domestic and Family Violence, Lifeline, and Mental Health. This experience has given her an inherent interest for the theory, policy and practice behind such services. Lauren hopes that by providing an efficient and organised office support to her fellow staff, she will be assisting in the progress for bigger and better things in the Domestic and Family Violence Sector. Margaret started with the Centre in October 2016 as a part time Administration Officer. 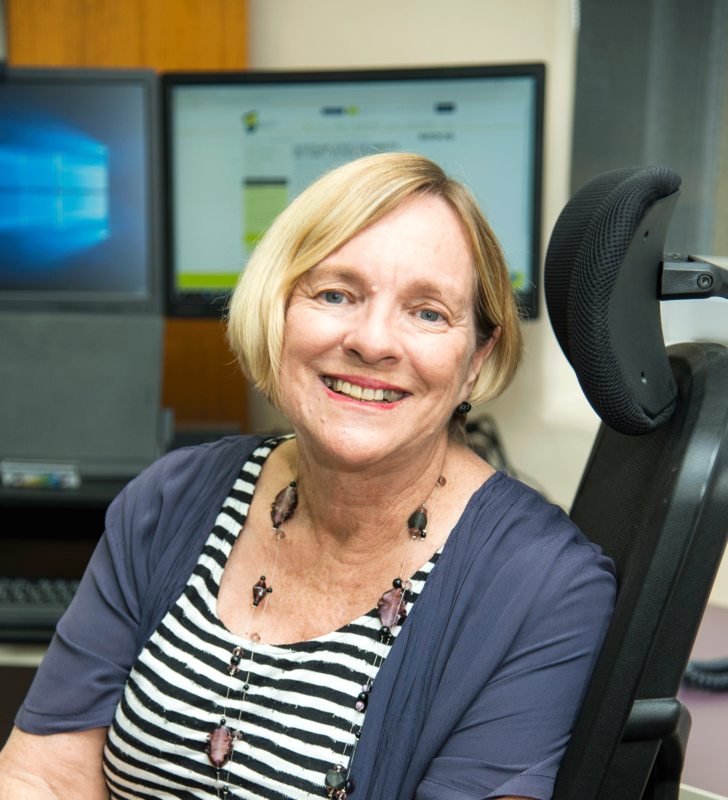 Margaret has worked in a number of administrative roles at Mackay Regional Council. More recently, her career has been in the media, working for the Seven Network and Bright Light Marketing. 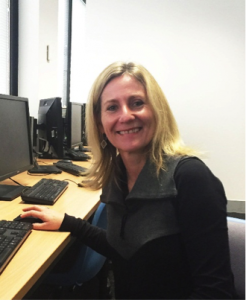 Margaret is studying accounting through CQ University. Her role at the Centre is to provide administrative support to the Centre’s staff.